Everyone from time to time has washed and dried some clothing only to find it has shrunk. Cotton fabric will easily shrink when washed in hot water and placed in the dryer. Luckily, there is a method that can help to undo this result. All you will need to do is learn how to unshrink any clothing item. The process for how to unshrink any clothing item is not difficult to do at home. You will need to use a bit of water and some hair conditioner. The kitchen sink is the best place to do this as you need to leave the garment to soak for about five minutes. 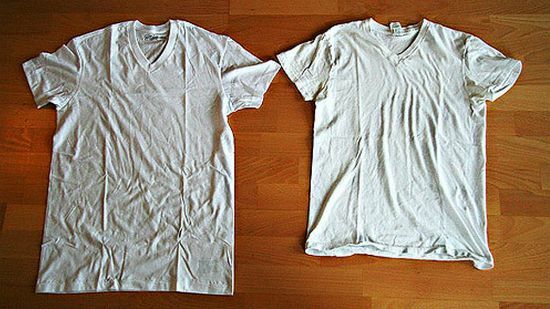 You may be surprised to learn the process for how to unshrink any clothing item really works. This is a type of chemical process as the hair conditioner will react with the clothing. Hair conditioner applied to cotton will be easy to stretch and restore to original size.